Mother arrested after toddler tested positive for meth and pot. 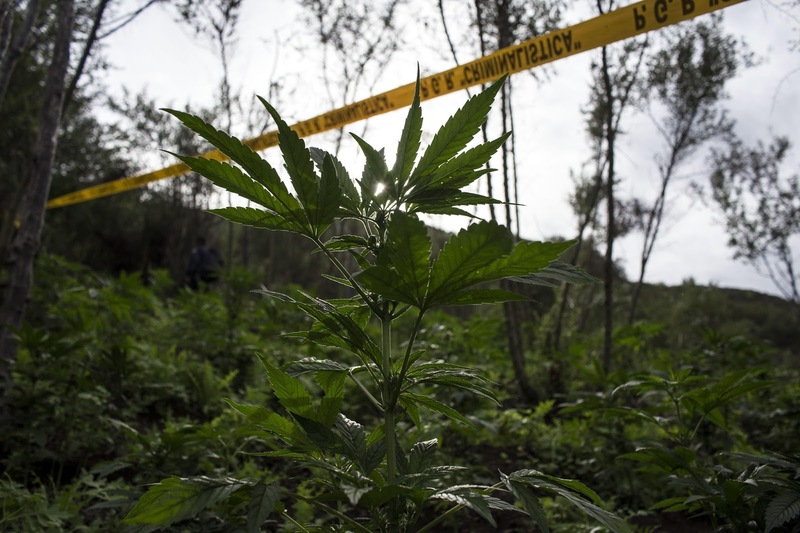 In this photo, a perimeter line marks a marijuana plantation at El Ajusco, near Ensenada, California, March 22, 2018. A Florida mother is facing charges for letting her daughter smoke pot and meth after the 2-year-old child was tested positive for methamphetamine and marijuana, investigators said. The accused was identified as 20-year-old Kaitlyn Ecker from Wakulla, a county in Florida, and is facing charges of child abuse. In addition to that, she was also charged with “lewd and lascivious battery and transmission of harmful material to a minor” in connection to a separate case. The child tested positive for high levels of the drugs, which indicated to the medical examiners it was not a one-time incident, Florida-based daily Tallahassee Democrat reported. There were several others who alleged Ecker let her toddler smoke meth out of a pipe. Reports stated the police officials first searched Ecker’s Crawfordville home Jan. 19 and found several pipes that had marijuana and meth residue, grinders, a scale and a bag of weed in a basket that also held children’s toys. Investigators also took samples of Ecker and the child’s hair and blood to understand their history; the results of the tests came out in March. “The toxicology results concluded that the 2-year old tested positive for both methamphetamine and amphetamine and the findings were ‘chronic’ rather than ‘acute,’” the report said. Readings also indicated the child was exposed to the drugs a lot of times or at least on more than one occasion. When investigators questioned Ecker she accepted to smoking marijuana and meth but denied doing so in front of her child. Additionally, Ecker also denied owning the pipes. In a different incident from April, an Arizona woman was arrested after police claimed her 21-month-old daughter ate mac and cheese laced with cannabis butter. The woman was identified as 25-year-old Alaina Marie Limpert from Tempe, Arizona, who allegedly laced the dish with THC (tetrahydrocannabinol, a chemical found in marijuana) butter. Reports stated when Limpert realized her daughter was experiencing the side effects of THC after consuming the meal along with her father, for whom it was originally prepared, Limpert just laughed, the Tempe Police Department alleged. "During that time neither parent took the child to immediate emergency care. Instead, Limpert "proceeded to place [the child] into their backyard pool to use the cold water to 'shock' her," the police report said. As soon as the incident came to light, Limpert was arrested and booked on one count of child abuse, cultivation of marijuana and its possession, among other charges.